Unified CPLA chairman and Abra Vice Governor Ronald Balao-as expressed optimism that OPAPP will not make it difficult for the unprofiled combatants to comply with whatever guidelines that will be imposed for the profiling of the former CPLA combatants who were left out during the controversial closure agreement in the past for them to have the peace of mind in supporting the present administration’s programs on peace and development. “We pin our hopes to the previous pronouncement of Presidential Peace Adviser Jesus G. Dureza that the former CPLA combatants who were left out by the previous administration during the controversial closure agreement will be converted to peace and development forces. WE have committed our overwhelming support to the Duterte administration’s peace and development programs that is why we remain optimistic that whatever programs that are lined up for us will be granted to allow our aging combatants to have peace of mind for the safety and security of their families,” Balao-as stressed. 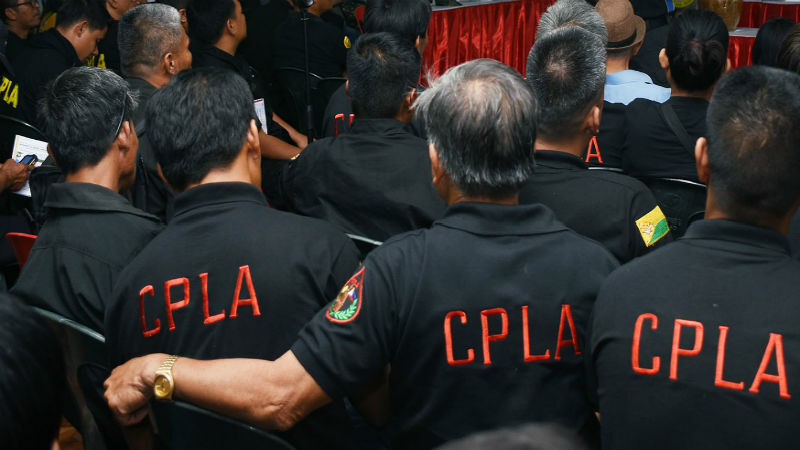 During his visit here last March 21, 2018, Secretary Dureza assured unprofiled former CPLA combatants that the government is set to roll out a program that will convert them into peace and development forces for them to become productive citizens of the country so that the government will have stable partners in cascading to the grassroots level the various programs and projects related to peace and development in the countryside. He said that aside from working for peace, the implementation of the development component should also be in place so that people who have embraced peace will benefit from the fruits of development in the countryside and for them to maximize the development potentials of their places. Vice Governor Balao-as said that the unified CPLA has not doubt in the sincerity of Secretary Dureza in aggressively pushing for the realization of peace in the country that is why they are keeping their fingers crossed that despite the issues and concerns confronting the peace initiatives of the government with other groups, the Cordillera concerns will not be left out so that the unprofiled combatants will be able to benefit from what they have been struggling for over the past several decades. He claimed that it is unfortunate that there are some expelled CPLA leaders and members who still insist in using the name of the group for their various illegal activities which is no longer congruent to the present disposition of the unified command that is why they have time and again reiterated that whatever illegal activities being done by the said individuals with questionable personalities is not sanctioned by the unified leadership of the group. Balao-as explained that the recent commitment made by the unified CPLA command and the Cordillera Forum on Peace and Development (CFPD) shows their willingness to join groups who are willing to upheld their renewed quest for peace and development in the region.